It’s Day One of my five month trip backpacking through South East Asia and Australia. 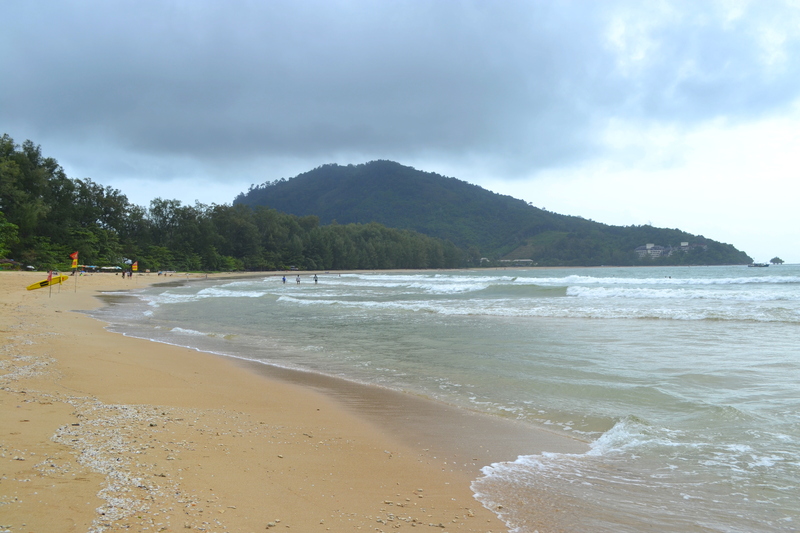 We flew into Phuket very early in the morning (4.30am) and I’m now at Nai Yang beach. It’s the rainy season here on the Andaman coast at the moment so our visit to Phuket will be brief this time, but it’s been great to start seeing some of Thailand today, and the beach was very pleasant despite the grey skies. We wandered along in the shallows of the warm sea, watching kite surfers. 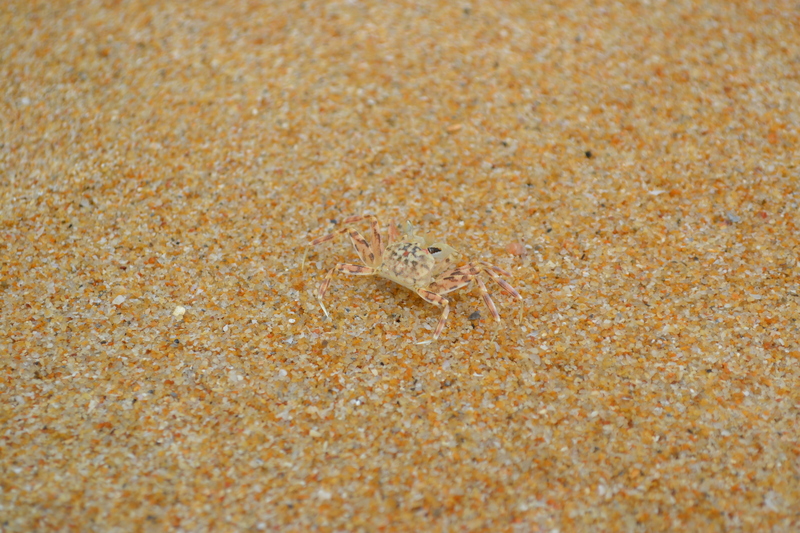 There were coconuts lying higher up the beach, and we spotted tiny crabs perfectly camouflaged against the grains of sand. They are only really noticeable when they scuttle away and their movement catches your eye. They’re masters of disguise! 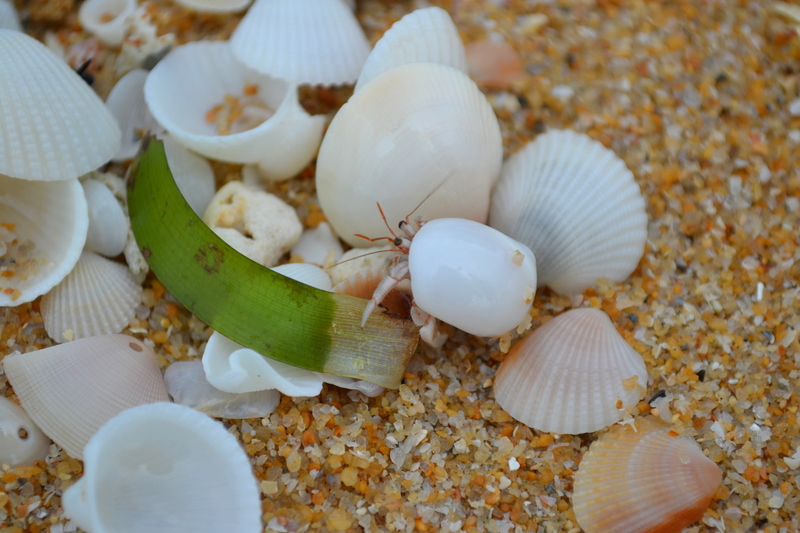 This little hermit crab was my highlight of today. It was clambering among sea shells and pieces of old coral in the strand line behind the waves. We ate dinner outside at a restaurant on the beach, sitting at a table behind palm trees looking out at the sea. 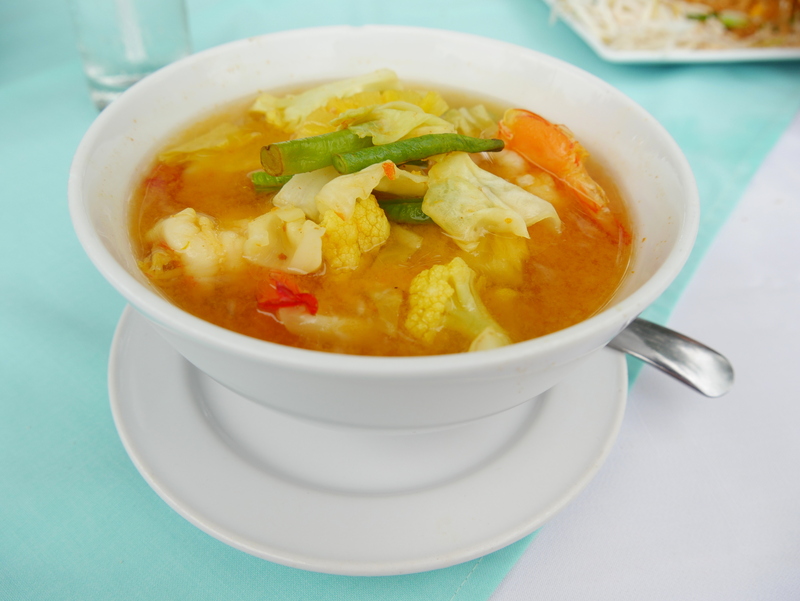 I wanted a local dish and went for a yellow shrimp curry, which was tasty but very hot! Our walk to and from the beach was through a jungle-clad alleyway, with lianas hanging down in ropes. I spotted several butterflies as we splashed our way through giant muddy puddles. They were the large kind of butterflies that I’ve seen in butterfly houses before, and it was absolutely brilliant to see them just around us naturally, in the wild. Tomorrow we’re catching the bus to Surat Thani and crossing to Thailand’s Gulf Coast. Sounds like a lovely start to your trip. Can’t wait to follow the rest of it! Wishing I was in Thailand right now. Will have to settle with living vicariously through you. Happy travels. What amazing you both had, hope the rest is just as good.